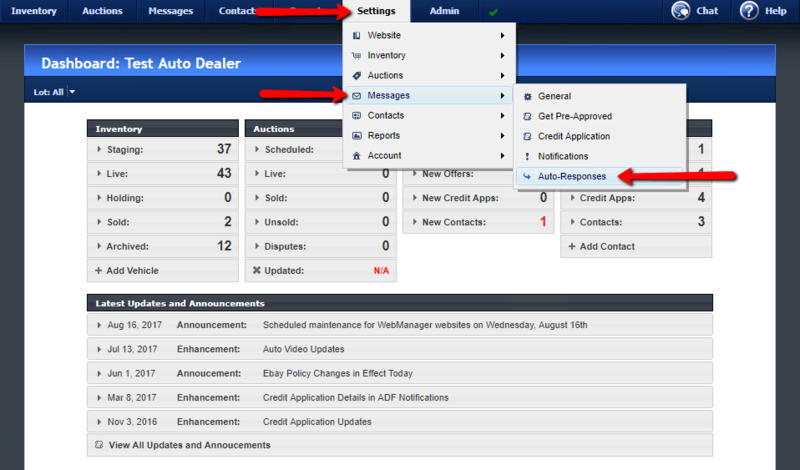 You can create preset message auto-responses for various WebManager messages you receive. 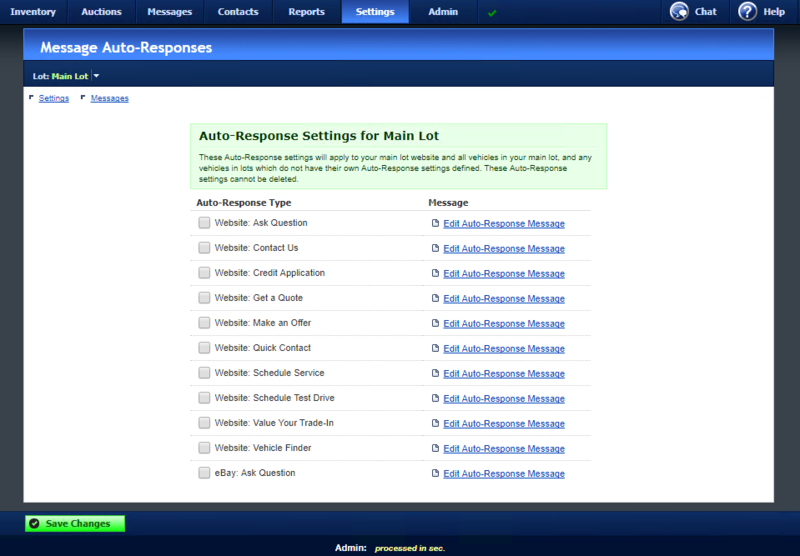 To access the Message Auto-Responses Settings, hover the mouse over Settings, Messages, then click Auto-Responses. Check the auto-responses that you want to enable, and then click on Edit Auto-Response Message to use our editor to create your HTML-enabled responses.